No matter what kind of computer you Have we can fix it! Some of the computer services we offer include computer upgrades, computer repairs, computer problem diagnosis, laptop and mobile device screen repair, computer security, computer networking and much more. 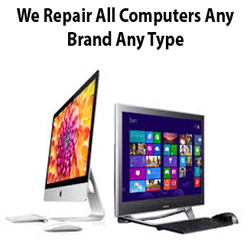 For more information on what services we offer visit our Computer Repairs Page.